It isn’t easy to watch our grandparents , our parents and ourselves age. We wish they could stay the way they were when we were growing up. But all of us know that it is inevitable that people are destined to grow older and older. Perhaps what is hardest is to have them slip away mentally. They remember things differently than we do. They talk about the past as if it were present, and we do not know just how to respond. And really, isn’t it? We remind Mary our Mother of the best things that happened in her life repeating the Hail Mary fifty times. Why? to praise her for the wonderful “Yes” she said and by that “Yes”, brought the Son of God right down here in our midst! It is almost as if we cannot believe it and have to keep saying it over and over for ourselves. In heaven there is no time. It is all one grand blessed NOW. No aging; no past; no waiting; no maybe; just one grand infinite now. It is that NOW our aging loved ones are seeking. Put all the good things you can remember into one big now, and you might get a glimpse of what awaits us in Heaven. Births, Weddings, birthdays, surprises crammed all in one moment. If we had it here, it would be like a huge explosion and we would not be able to endure it. As the aging persons you know await the big NOW, let us help them endure with patience the review of good things they remember from their lives. And let us remember them,too. 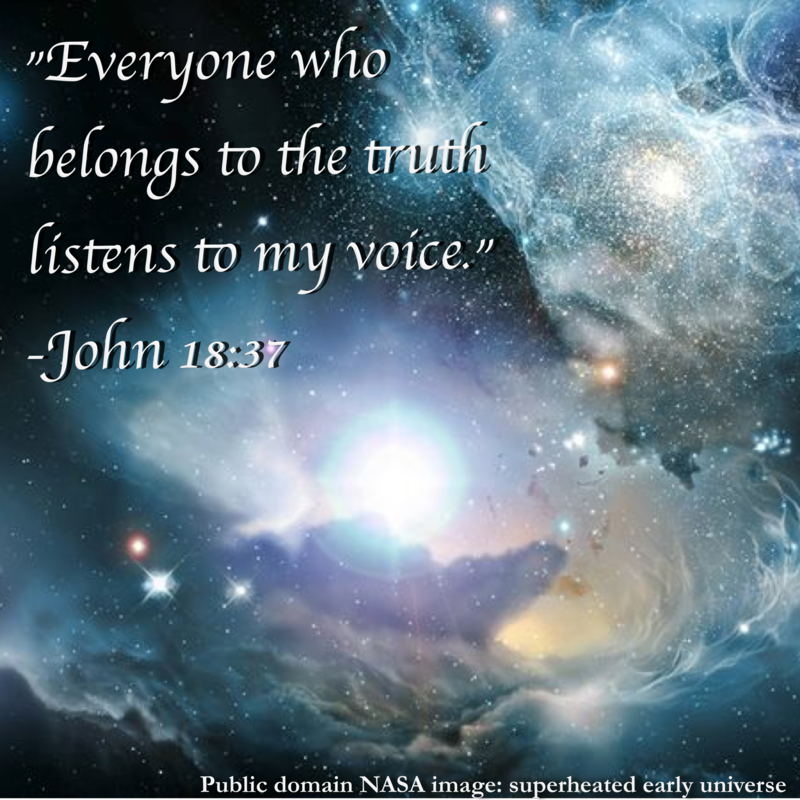 Do we listen to Jesus’ voice and always speak the truth? Speaking the truth will be of Jesus and not of self. Speaking the truth is holy and powerful! It’s this week. We will be celebrating the Thanksgiving Holiday. All of America will be aware of feasting, family, football. And it is right that we remember how the Indians and the Pilgrims gave thanks for the plentiful harvest with a feast. But the reason for the feast ought to go beyond the food on the table. What are you truly thankful for this year? Is it your family? We do give thanks for them. Even if there have been rifts and anger, we still need to give thanks for family. Because God gave us family, so we can live and breathe and think and love and develop and believe. THANKS BE TO GOD! Perhaps you are thankful for the beauty of nature. We see all the loveliness lavished upon us. If you want to get a glimpse of the prodigality of God, take a look at wild flowers. They are not “planted”, they just grow. The floors of the forests are filled with tiny flowers, and in many cases they are not ever seen by people. They bloom and die. And in doing so give glory to their maker for that is just what they are to do. Stars that we gaze at in the sky are so numerous they cannot be counted. And so beautiful we must wonder how the hand of God could throw so many jeweled suns when most of us will not even notice them. Who can look on a newborn child and not gasp at the miracle God has placed in the persons of man and woman. Nothing is more beautiful. Do we thank God for children? Everything in this world is a gift from God. Even those things we endure. 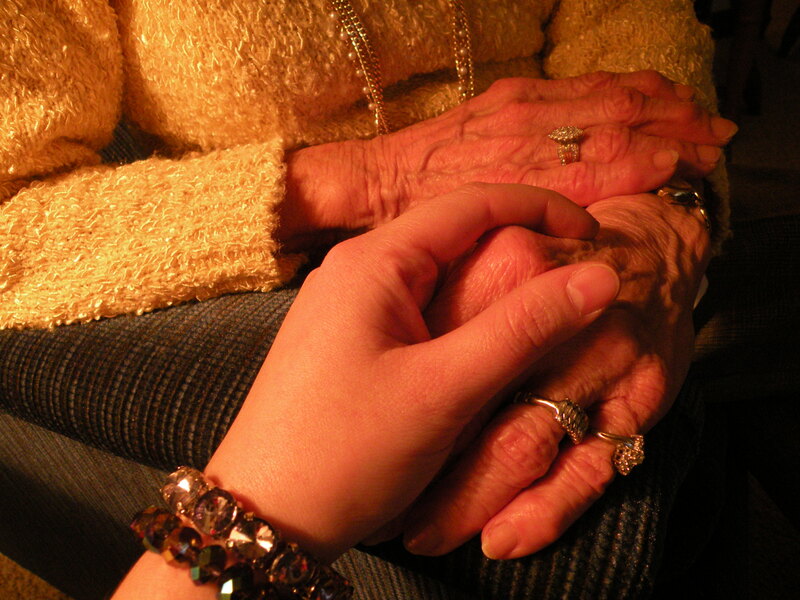 The truly thankful person can find something to thank for in arthritis! Or hair loss! Or weakness! Or even pain. All gifts from God come wrapped. And sometimes the ones wrapped so beautifully are the least valuable. Try to find the preciousness in the badly wrapped gift. If you cannot walk so well now, recognize that you have time to slow down and reflect. Constant busyness is not always good. Slow down. Nothing is more important in the long run than a constant attitude of gratitude. Be thankful for everyday things all day long. It does not take time, just thought. When the elevator opens just as you push the button, say “Thanks, God!” Get used to having “Thanks” as part of your constant thoughts. The phone rings and it is not for you! Thanks, God. Or the phone rings and it IS for you. Thanks, God. You’re hot and a small breeze flutters by. Thanks, God. No bills in the mail today. Thanks, God. Enough money in the bank to pay bills! Thanks, God. Thanksgiving ought not be relegated to one day and a table full of food. Thanks is the best way to honor the God who gives us everything. Think of all the wonders God places before you daily and acknowledge them as the hymn says, “All that we can offer you is thanks; all that we can offer you is thanks. For all the goodness I find daily in people I encounter, Thanks, God. How much does a penny buy? 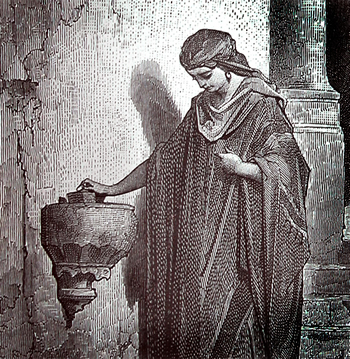 In today’s Gospel from Mark, we are reminded of Jesus’ telling his Apostles about the widow’s mite. From this story we can get the idea that whatever we give from the heart or from our need is worth more than our just handing over a few leftover coins. Why does this make any sense in today’s world? As followers of Christ, we are daily called to go beyond the obvious. We are called to share with our neighbors, and in so doing to obtain a closer relationship to God. We have been given the gifts of intellect and free will and are supposed to be stewards of our gifts. The point I often forget myself is that whatever I have, has been given to me as a gift from God. These gifts can be shared. So, a penny is worth alot if it is the only one you have, or if it is just what someone else needs. Our task from today’s Gospel is to see the prophetic witness this widow gives. She was willing to put herself in real need. She was able to share her last coins. This simple act speaks volumes and show great faith and real dependence on God. How much is a penny or a small sum of money worth to you this day? To whom could you offer such a gift? Jesus, since my actions speak louder than words, please guide me in knowing when and how to share your gifts. Allow me to hear your word this day and to act on it. Amen. 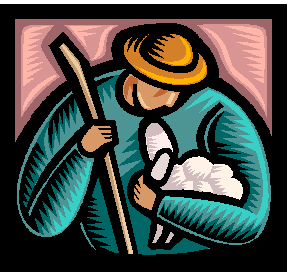 A picture of Jesus, the good shepherd, holding a lamb close, was on a message from the Hamline Chapel United Methodist Church. Since it was not copyright marked, I am sharing it with you. “Hugging,” they write, “is healthy: It helps the body’s immunity system, it cures depression, it reduces stress, it induces sleep, and it’s invigorating, it’s rejuvenating, it has no unpleasant side effects, and hugging is nothing less than a miracle drug. Hugging is all-natural: It is organic, naturally sweet, no pesticides, no preservatives, no artificial ingredients, and 100 percent wholesome. What I wonder, is why we do not use this lovely way of expressing our feelings. It does wonders for the giver as well as the recipient. Hugging is helpful to the person who has succeeded, and especially to the one who has failed. Babies and toddlers usually get hugs, but Grandpas and Nanas not as often. Old Uncles and Aunts need hugs too. In fact, I cannot think of anyone who doesn’t, not even the Pope! So be generous! Be extravagant! Hand out hugs everywhere. Maybe you will mend a fractured friendship with a hug. You know, if you want or need a hug there is no reason why you cannot ask for it. It’s easy. Just say, “I need a hug.” or Will you give me a hug, please? Jesus gave hugs to lost sheep. It might not be a bad idea to give Jesus a hug in prayer. Hugs to you and all you hold dear. Spread hugs around today! A few years ago at one of our Community gatherings, it was suggested that we find a partner and frequently ask of her/him, “How is your heart?” If Jesus asked that question of you or me what would be our answer: is it content? Joy filled? Prayerful? Is it saddened, discouraged, weighed down with worries and concerns? No doubt we would admit to having some of each bit in our hearts.Perhaps we should ask of ourselves “Where is my heart?” If it is truly centered on Jesus, then it is in the right place and we will be the loving, trusting, caring people “of heart” that we are called to be. Contentment, trust and joy will find their home and peace will be our blessing. Jesus, I desire to love you with my whole heart, soul and mind, but it is divided by daily cares, obligations and the needs of others. 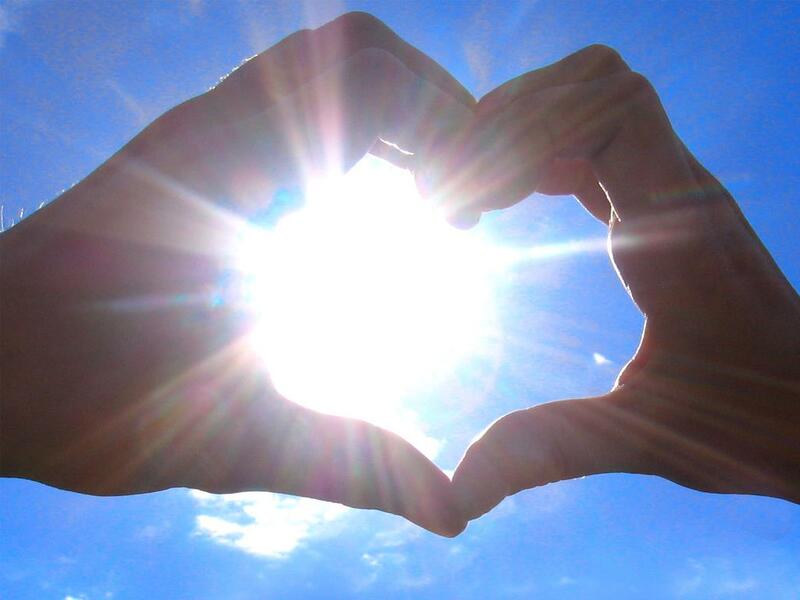 Widen my heart and fill it with your love; then the cares and works of my day will be filled with your compassion and love. May I love you as you love. May I love my neighbors as you do. May I love myself as you do. Amen. Cooler, crisper days with wind and swirling leaves tell us autumn is here. The trees lose their lush, green foliage, and stand stark and bare. At the same time, the green, green leaves begin their change of life. Green becomes yellow or red or peach or bronze or dark maroon. We stoop to pick one up from the ground, because it is so lovely. Just days ago, we would not have noticed this particular leaf as it was fastened to the tree. Among all the other green leaves, it just was part of the whole. But now, as we look at its unique beauty, the individual leaf comes to the fore. It doesn’t take a giant leap to compare this to our own life and interactions with others. The aging process in humans parallels that of the leaf in some respects. One big difference is that older people often are lumped into a group, e.g. Senior Citizens. We do not take the time to see what the older person has to offer. The people doing this best are children. They often gain so many insights from talking with grandparents, or great uncles or aging aunts. For older people the autumn of their lives can be drab, not colorful like the leaves. I wonder what I might do to help them realize their beauty. Maybe I could gather a few or visit a nursing home and lead a sing-a-long of oldies. Alternatively, I might show some black and white movies from the time of their youth. Storytelling of the memories they hold can be captivating. I may not be able to do any of these things. But I can do something. Autumn should be beautiful. Not just for leaves but for everyone.